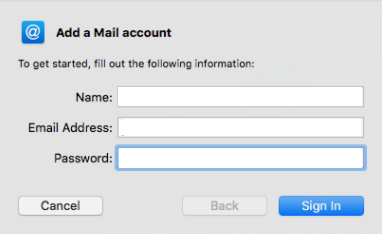 How to Register Email Accounts in Mac OS and Mail? 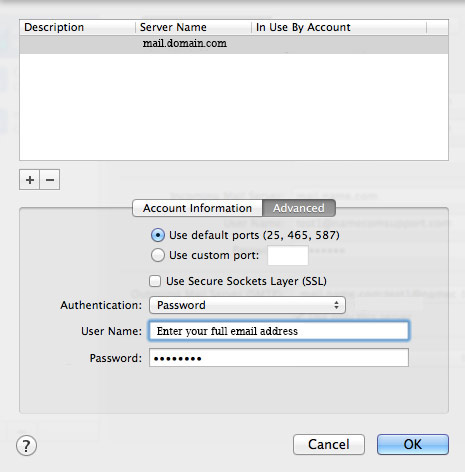 /Tutorials /How to Register Email Accounts in Mac OS and Mail? 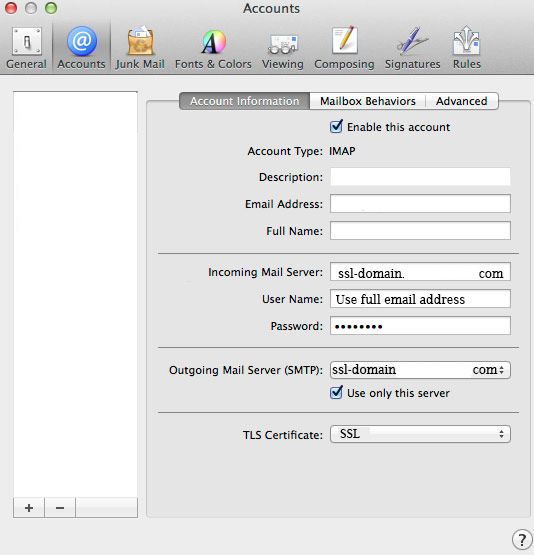 The tutorial shows detailed steps about how to configure your Email account in Mac Mail application. 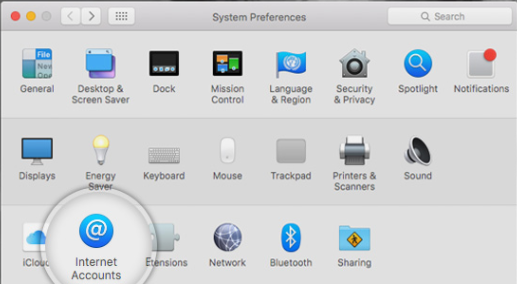 In the System Preferences screen, submenu the Internet Accounts to proceed. 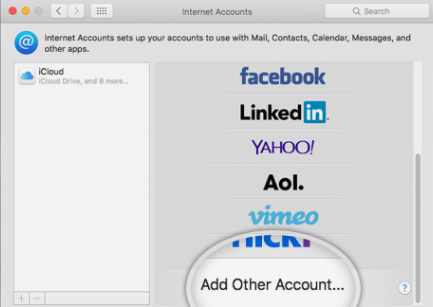 In Internet Accounts you will get a list of all the different accounts. Scroll down & click on Add Other Account option. Next, click on Add a Mail Account on the next screen. 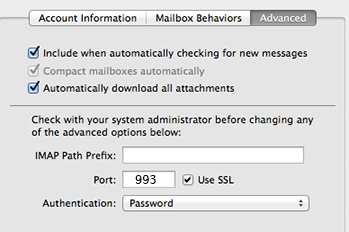 You will get a popup where you have to fill in your name and the Email address that is to be registered with Mac Mail. Note: The name you enter here will be displayed to whom you send emails. 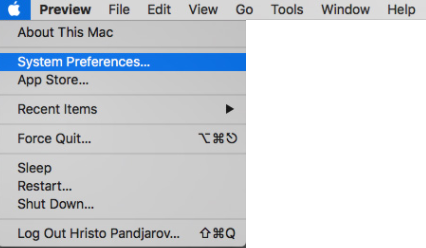 This option can be changed later on. Finally, Click on Sign in to proceed. Email Address: It shows the pre-filled value you’ve entered in the previous screen. 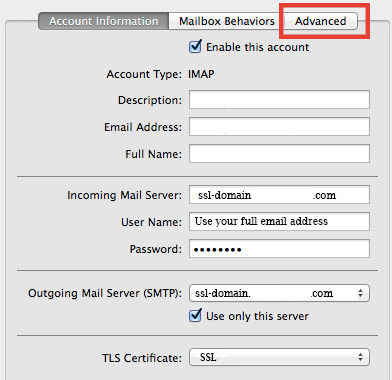 Account Type: This is set to IMAP by default. If you specifically want to use POP3 change it. Else leave it that way. 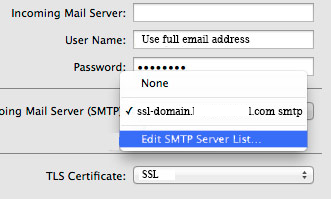 Incoming Mail Server: Enter yourdomain.com unless you have a specific MX records configuration for your domain name. 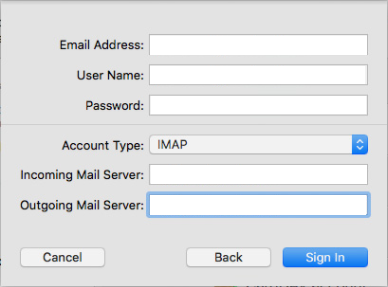 Outgoing Mail Server:Set it similar to the incoming server. Once the details are filled, click on Sign In to proceed. Next, you will be asked to select the programs you want to use with this account. The options will be displayed on the basis of the applications that are being installed on your account.